What happened inside and outside the octagon on 6th of October is something that no fight fan can forget ever. 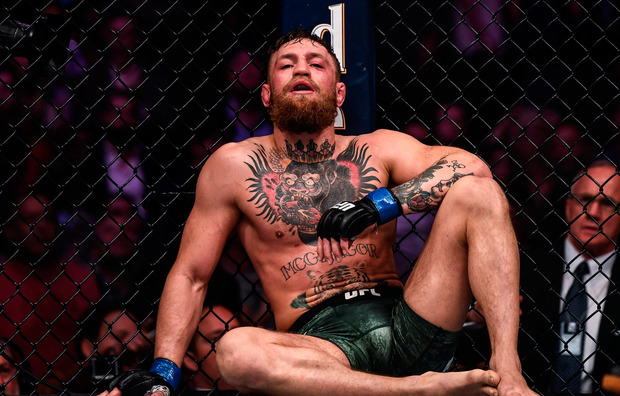 The much awaited and much-anticipated fight between the challenger Conor McGregor and the champion Khabib Nurmagomedov saw the latter emerge victorious over the Irishman as a result of a rear naked choke in the 4th round. What followed the one-sided fight was least expected. The Russian scaled the octagon to attack Conor’s teammate Dillon Danis. The brawl also saw Conor being attacked inside the ring by three men from Khabib’s camp. Now while all these are already known facts, let us get into lesser known ones. Here’s what each person involved in the brawl are about to face. Right after the fight, the Irishman tweeted saying: “Good knock. Waiting for the rematch”. However, it is not gonna happen soon for Conor as he has been slammed with a one-month medical suspension. As per the report, the Nevada State Athletic Commission (NSAC), confirmed that McGregor is suspended from fighting till November 6, and will not be allowed to have any contact with trainers till October 28. Moreover, Conor’s coach John Kavanagh has hinted that the Irish won’t be fighting until next summer. Khabib is having all the trouble following the brawl. The Russian’s purse is currently being held by the Nevada State Athletic Commission and he can’t claim it until the investigations end. As per Dana White, the president of UFC, Khabib might get a 4-6 month ban along with being charged $2,50,000 as fine. Three of the Russian’s teammates were arrested on the night of the fight. The trio was released later as Conor wasn’t willing to press any charges against them. The investigation is due for the first week of November.